Yes, we do realize the name is kinda weird. HONOR could probably have called it the HONOR Magic Watch, but they didn’t. The watch was launched along with the HONOR View20, adding to the complete ecosystem that HONOR is vying to create. So what does the HONOR Watch Magic offer? Quite a lot actually. The first thing that gets us right off the bat is the RM599 pricing. In Paris, it was announced for 179 euros, but Malaysians are getting a much better deal. Off the top of my head, the only smartwatches in this price range is Xiaomi’s AMAZFIT Pace, but that has a much less premium design versus this one right here. Now despite being very affordable, the HONOR Watch Magic packs a smorgasbord of sensors for all the tracking you need. Whether you are into walking, running, swimming, climbing or even sleeping (which is probably my favorite activity among all those listed here), the HONOR Watch Magic can help you keep records of your activities. There’s built in GPS too, so you can spare your smartphone’s battery for more important things. Interestingly, the HONOR Watch Magic is claimed to be able to monitor blood pressure via heart rate variability. This data is used for its TruRelax feature, which will guide you to avoid stressing yourself out. 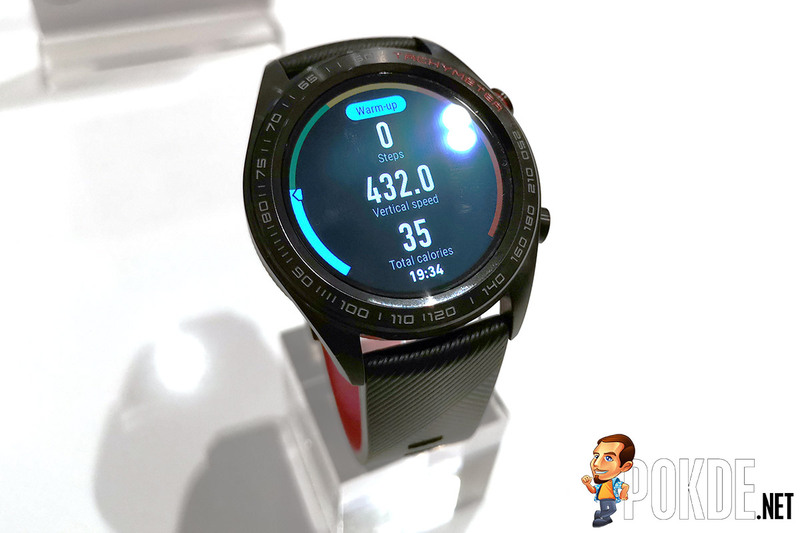 From a quick Google search, it appears that it is going to be a pretty rough estimation, so don’t expect medical-grade blood pressure monitoring from the HONOR Watch Magic. Now speaking of battery, the HONOR Watch Magic promises an amazing 7-day battery life, which is leaps and bounds better than the average smartwatch on the market. Of course how long will it last with all the features turned on will probably be a very different story, but we will be testing it for ourselves pretty soon, so stay tuned. The HONOR Watch Magic will be offered for FREE for the first 200 customers purchasing the HONOR View20 this 26th January, so make sure to head over to One Utama early to pick up the HONOR View20!